Ferruginous hawks are named for the Latin word "Ferrugo" meaning "rust" due to their red-brown coloured legs, backs and shoulders. 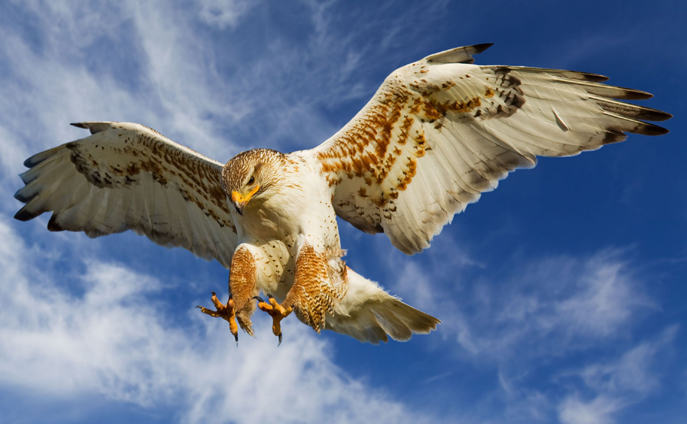 Ferruginous hawks are the largest of the North American hawks. During the breeding season a pair (who breeds for life) will build a large nest, usually about 3 feet wide and 2 feet tall out of sticks, bones, animal hair and manure.